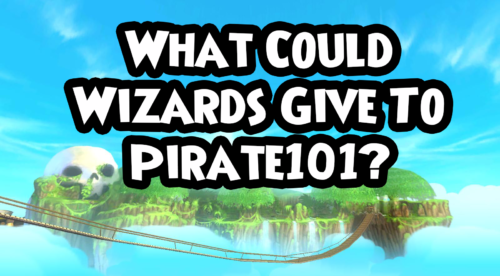 What Could Wizards Give To Pirate101? Yesterday I went over what Pirate101 elements could possibly work in Wizard101. Today, it’s time to do the reverse! 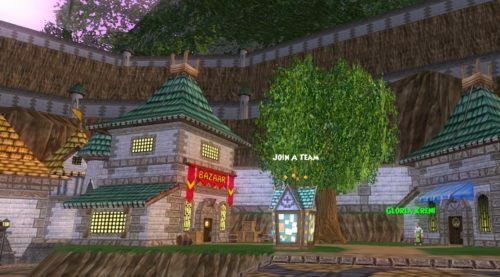 What Wizard101 features would work great in Pirate101? See my thoughts below! 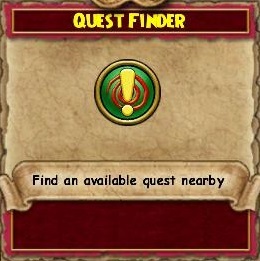 Arguably the most requested Wizard101 feature for Pirate101 is a little something called Quest Finder! Quest Finder makes it super easy to find side quests and Pirate101 definitely has some hidden ones! Let’s make this happen, KingsIsle! The Team-Up Kiosk would make it easy for pirates to assist fellow players. It’s worked well in Wizard101, and I think it would work just as well in Pirate101. Not only would a Team-Up Kiosk allow more people to find help, but it would also give max level players something to do when they’re bored. Pirate101 needs to keep max level players playing, and PvP Tournaments could be a fantastic way to do that. Tournaments provide a fun and competitive atmosphere, and with the right rewards, I think they could be a hit in Pirate101. Don’t you hate it when you accidentally trash something valuable? Wizard101’s item lock feature would prevent that in Pirate101. Additionally, I’d love to see equipment sets make a pirate appearance. I’ve gotten so used to my quick outfit changes in Wizard101! What do you think of my list? Do you have any other suggestions? Let me know in the comments!